Using a 180/180 Endurance File prepare the natural nail. Be sure to thoroughly remove all dry cuticle and then clean the natural nail with NailPure Plus. 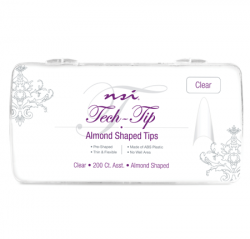 Select a clear Tech Tip – Almond Nail Tip that fits the natural nail plate from sidewall to sidewall. Using Polybond, hold in place for 10 seconds. Blend the tip to the natural nail and buff off shine, remove dust with an Plush Brush and wipe nail plate again with NailPure Plus. 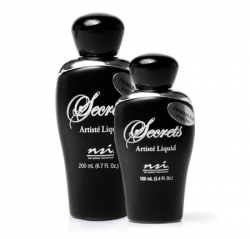 Using Secrets Primerless Nail Liquid, or liquid of your choice, and Secrets Disguise Masquerade Powder pick up a bead and apply a medium wet mix ratio, at zone 3. 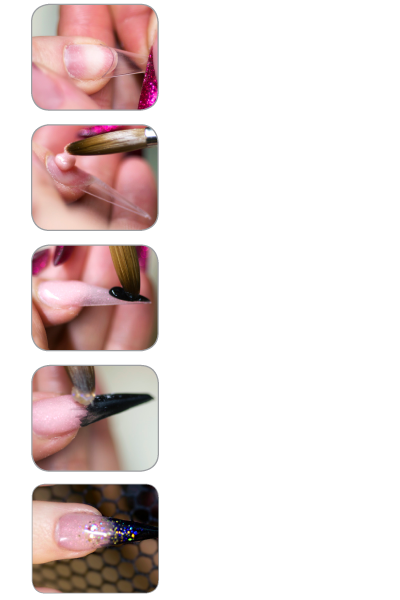 Be sure to leave a small hairline gap between the product and cuticle. Apply another bead at zone 2, taper the product, brushing the remaining product onto the tip. Using Simplicite Powder – Deep Secrets, starting at the tip, blend upwards and into your Disguise Powder towards the sidewall, creating a soft ombre. Try to blend it so that the ombre fades on an angle. 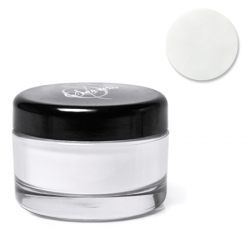 You will not need a crisp smile line as you are layering the product and will not have ridges. Be sure to cover the remaining tip for full color coverage. Starting in zone 2, apply Secrets Effects Powder Luna on to where your Disguise and Simplicite Deep Secrets meet to blend the join. Work towards zone 3, then, brush through like a polish for an even coverage. Apply a bit more towards the tip edge to create dimension in the design. Starting in zone 3 apply Secrets Pure Ice Powder, to the entire extension, to encapsulate the design. Check the nail from all angles, be sure of proper apex placement. 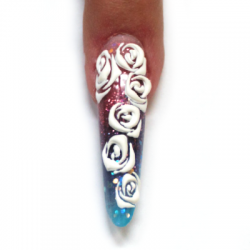 Refine file the nail using the 180/240 Endurance File and file into the shape of the tip. 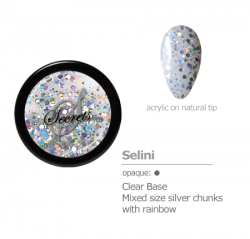 Smooth the product, and keep the crisp Almond nail shape. Remove dust with Plush Brush. Using a nail wipe saturated with Cleanse, remove any dust that may be hiding in the sidewalls. 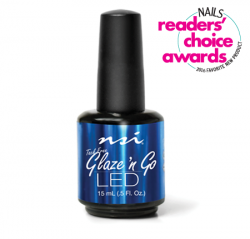 Apply Glaze ‘N Go LED and cure in the Dual Cure Lamp for 30 seconds or 2 minutes in UV. Apply Nurture Oil onto the Cuticle and gently massage. 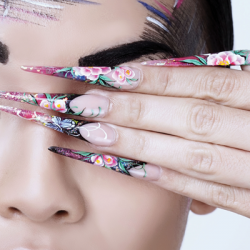 NSI Tech-Tips Make beautiful nail art easy!